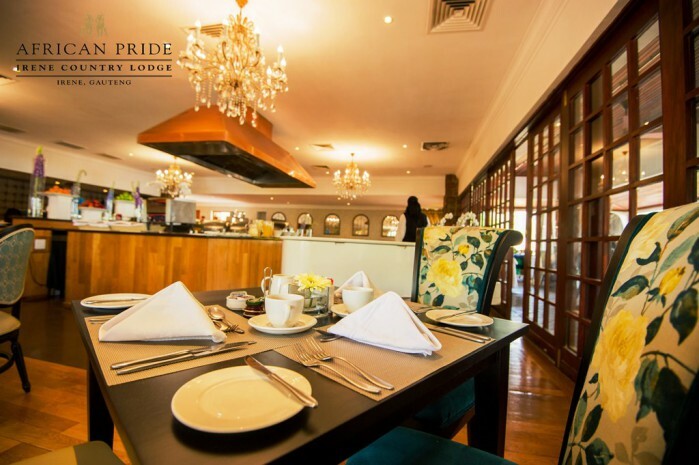 Fine dining is synonymous with luxury accommodation such as found at African Pride Irene Country Lodge. 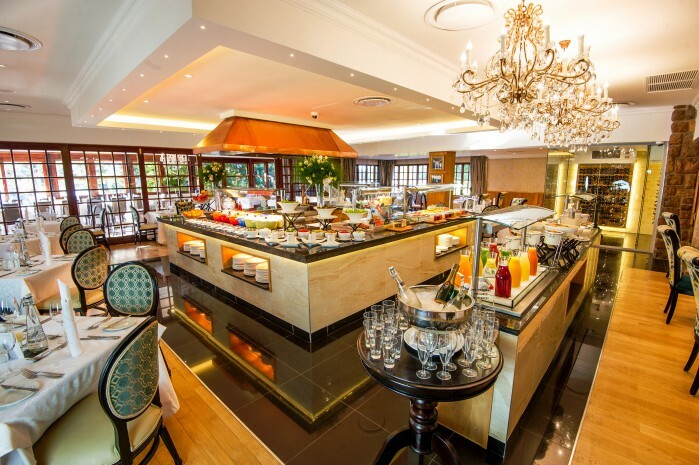 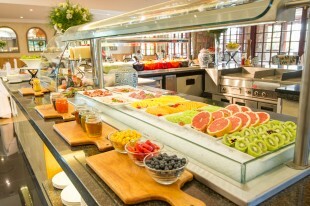 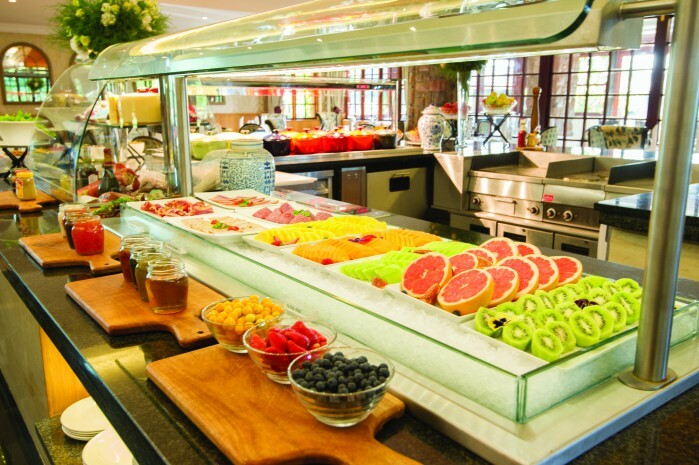 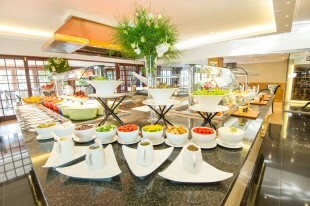 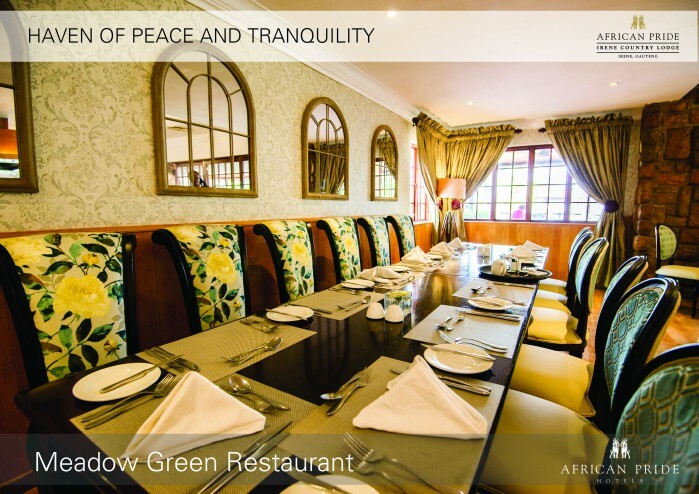 With various on-site dining options situated in this haven of peace and tranquillity, our guests are spoilt for choice. 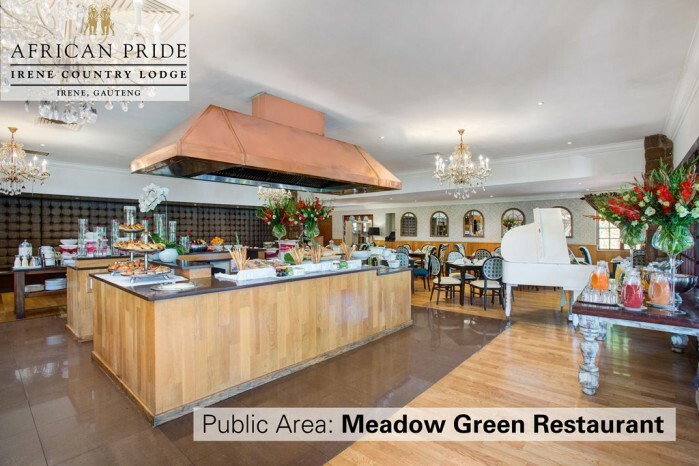 African Pride Irene Country Lodge’s exclusive Meadow Green Restaurant is renowned for its excellent service, tantalising menu and fine dining décor. 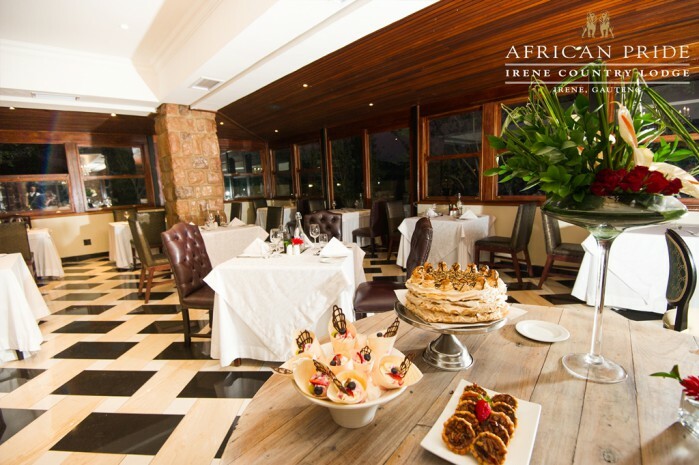 Coupled with our culinary excellence is our Vinoteque walk-in chilled wine cellar where our red wines are kept at 16?C and our white wines at 8?C. Stocked with traditional classical wines from around the world – even homemade ‘garage’ wines from the Cape – we are confident that we have the perfect blend to compliment your meal. 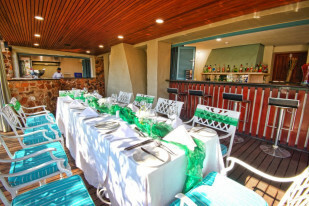 Our waiters are on hand to give you a tour of the cellar should you like to do so. 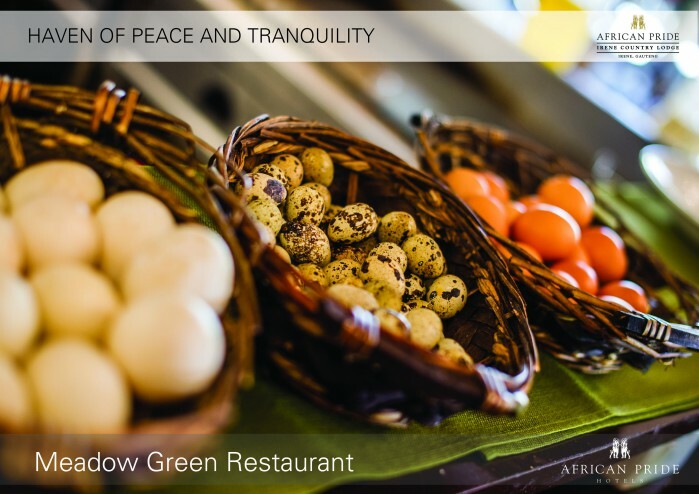 This is a refined point of view on ethnic cuisine rooted in our African heritage. 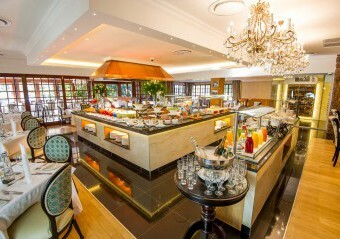 Taking local products and infusing them with different cuisines, such as open Bobotie Wontons, Malay Chicken Curry with coconut milk, Rare Roast Beef with cinnamon pumpkin. Sunday lunch is a highlight for the whole family. 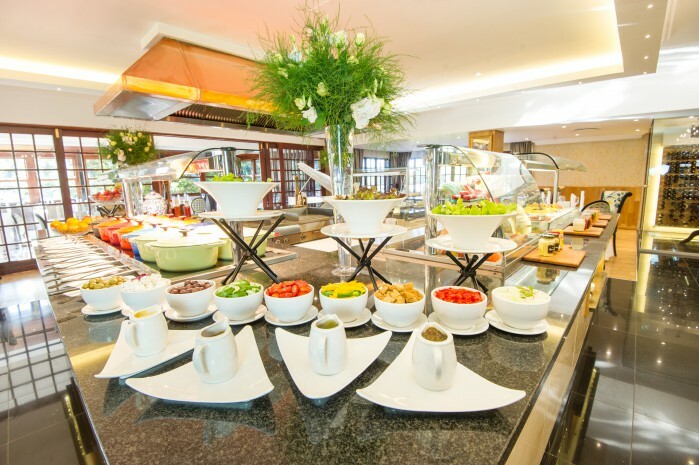 Our menu offering includes traditional carvery favourites such as BBQ brisket, Yorkshire pudding and red wine braised oxtail, not to mention our full range of salads, starters and decadent desserts! Are you planning to have an engagement party, kitchen tea, stork party, birthday celebration, anniversary or just a romantic dinner? 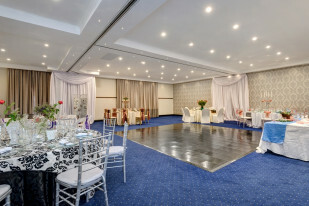 – Find out how we can make your event special send us your enquiry or phone 012 667 6464 and they will be happy to assist. 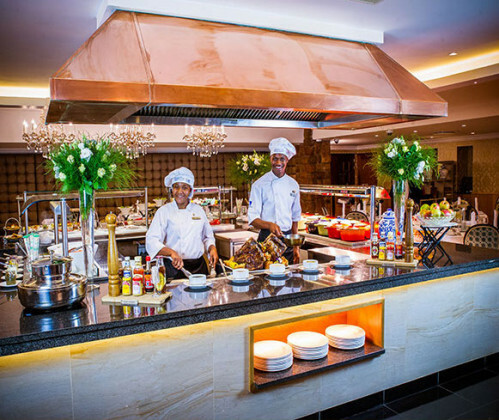 Our Saturday Night Live Menu allows for guests to be served from the live cooking stations. 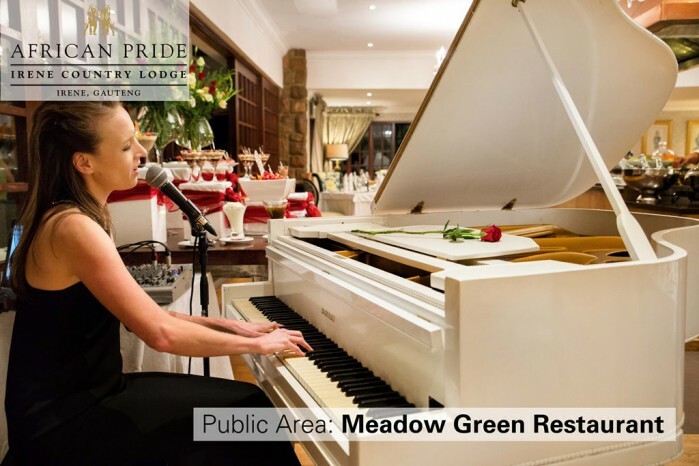 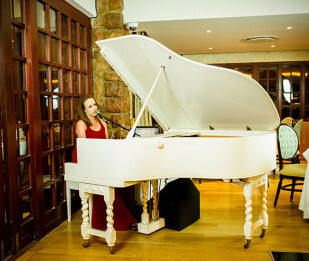 Our resident pianist performs her sultry “Norah Jones and company” while our diligent staff cater to your every need. The entire experience is an interactive Chef’s station where you can see the foods being freshly cooked while you relax and enjoy our spectacular range of wines on offer by the glass from our vinoteque walk in cellar.